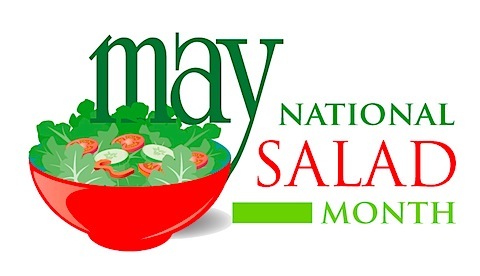 May is National Salad Month. It is the perfect time of year to introduce more salads: the weather is getting warmer and fresh local ingredients are beginning to emerge. 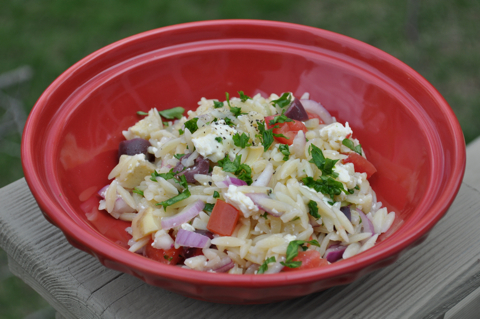 The salads featured this week are from a variety of different cuisines and go beyond your basic green salad. O added this on his Favorite Foods list! This salad takes the kale chips I've written about and turned them into a salad. Simply substitute soy or sun butter to make this a nut-free meal.